Rowlinson Heritage 4 x 3 Shed Apex Roof: This attractive 4 x 3 apex roof shed is perfect for the smaller garden. The FSC approved tongue and groove fine sawn 12mm tongue and groove vertical timber cladding has a stylish grey wash paint finish and there is a solid board apex roof with mineral roofing felt. 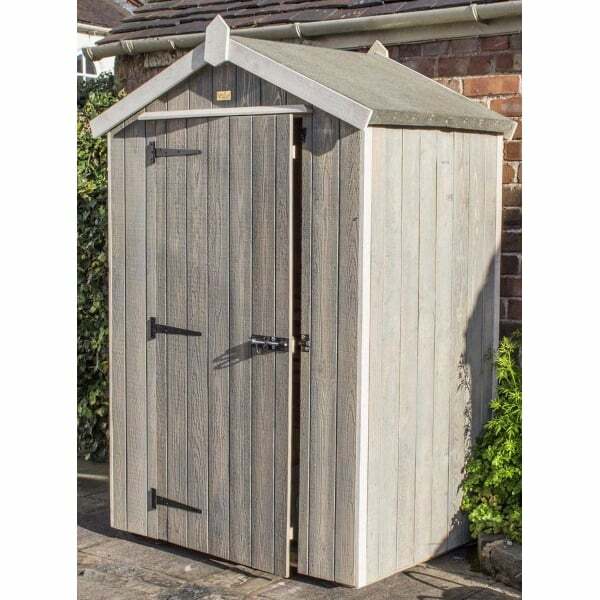 The hinged door provides easy access to this delightful shed which features a tongue and groove floor and a 15 year manufacturer's warranty to protect against rot is included. This attractive shed will be a stylish addition to your garden.